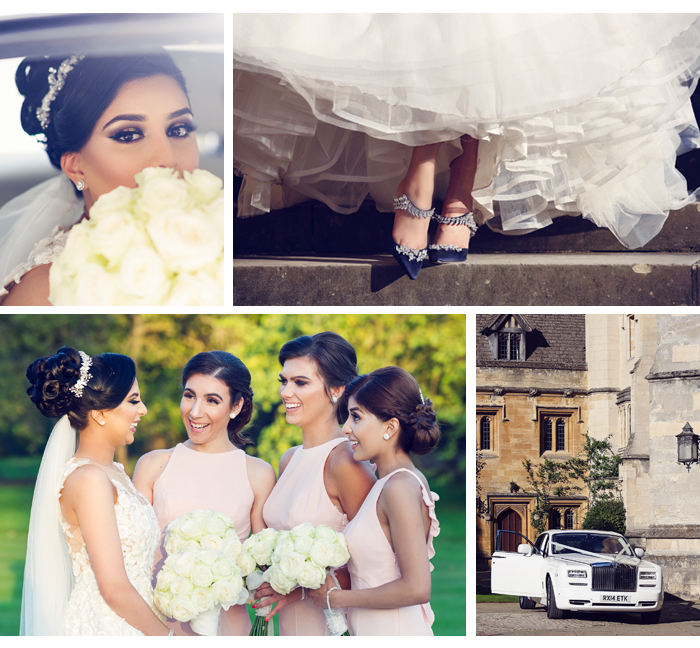 Blogger and writer Sasha Wilson married John Machin at Magadalen College, Oxford University on 27th August. She says: “We met online using the app Happn, which I was ready to delete. We spoke for hours online, before our first date at the Bulgari in Knightsbridge in October 2015. It was fireworks from then onwards and we were engaged on our first anniversary. John surprised me with a visit to the great tower of Magadalen College, Oxford, It’s a tall medieval tower from which you can see the whole of Oxford. When we got to the top, John got on bended knee. I said yes, of course! I used Pinterest and found a lot of inspiration on Instagram. I love the Palace of Versailles with its regal gold, opulent and grand look, and this was how I always imagined my day to be. I kept a wedding book for notes, ideas, and lists. We also kept a spreadsheet for the invites, RSVPs and finances. 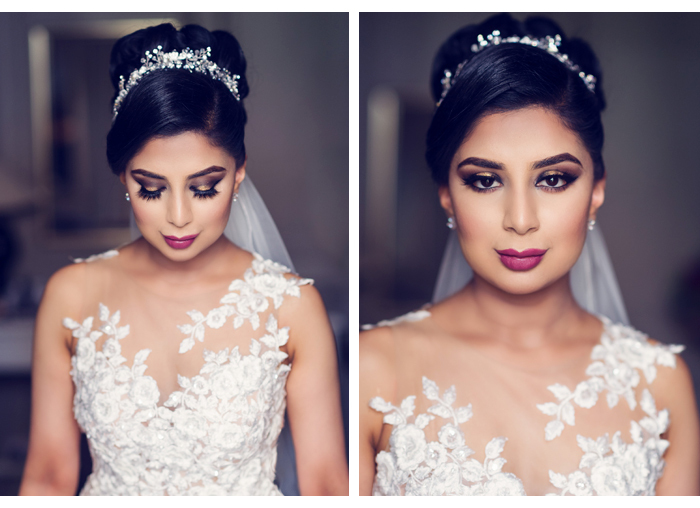 Arabic brides marry in white. Plus, I’m Christian so it was a no-brainer as to what colour I’d wear! We also have Mehndi the night before but I opted out as to be a traditional English bride. I had my sights set on a Zuhair Murad gown but it was £10k pricier than the dress I ended up wearing, a couture Pronovias piece. They were so similar that nobody noticed the difference! My diamond bracelet was a family heirloom which once belonged to my mother. My hair piece was from Jon Richard and so were the bridesmaids accessories. Elena Hair, who I found via a friend on instagram, did my hair. I finished my look with Manolo Blahnik shoes, sold to me by the man himself at his Mayfair boutique. I did my own makeup, choosing gold smokey eyes and a deep pink lip. My second gown was a Jovani gown, my friends named the ‘JLo dress’. I paired this with champagne gold pumps from Christian Louboutin. The wedding took place at Magadalen College, Oxford University, where John read medicine. The chapel is very ornate and beautiful and only available to College alumni, so its extremely exclusive. 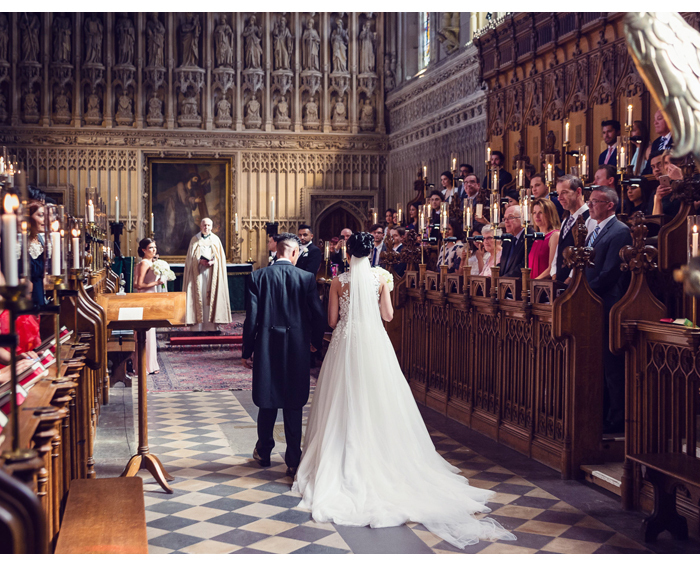 A special licence from the Archbishop of Canterbury was arranged, and a Fellow of the college and Biochemistry Professor who is also a personal friend of John’s married us on the day. 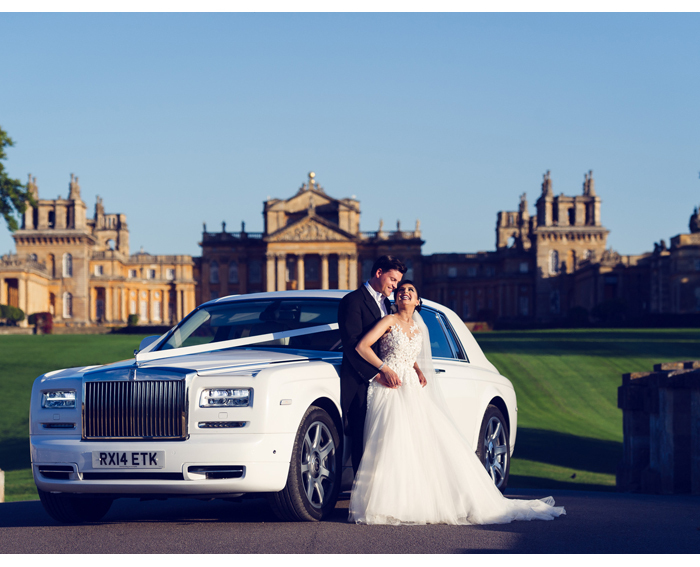 I had great recommendations for some photgraphers but none had shot at Blenheim Palace. 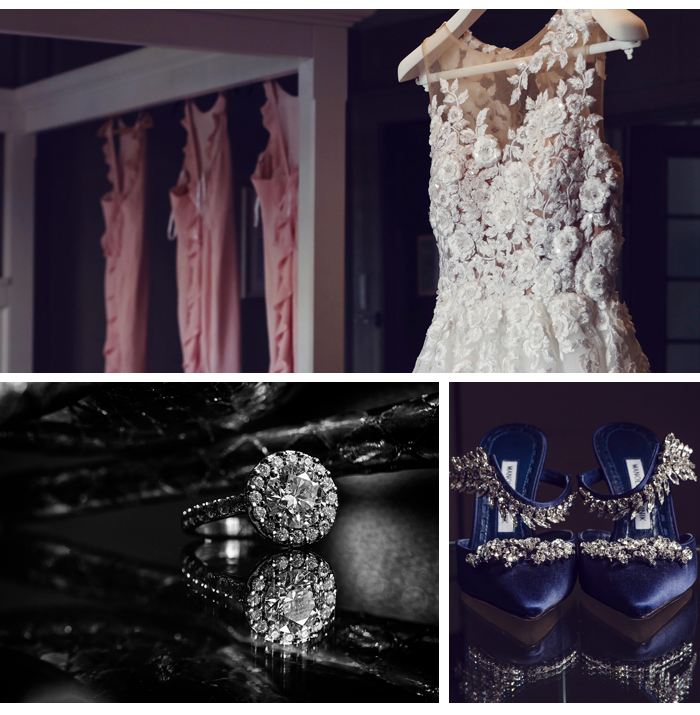 The venue provided a list of their trusted suppliers, so I went through them looking closely at their portfolio. The one that stood out was byLumiere photography and cinematography. Their work is art. I knew our special day would be in safe hands with them. John and I were absolutely thrilled with the results! The photographs and the film are harmonious, thanks to a singular creative vision. Working with such a talented team was such a joy. 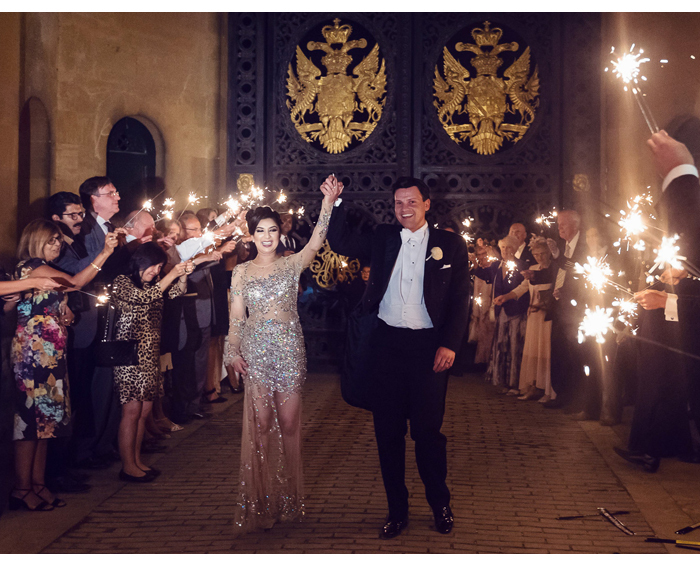 You can see our wedding trailer here which shows amazing aerial footage of Blenheim Palace. 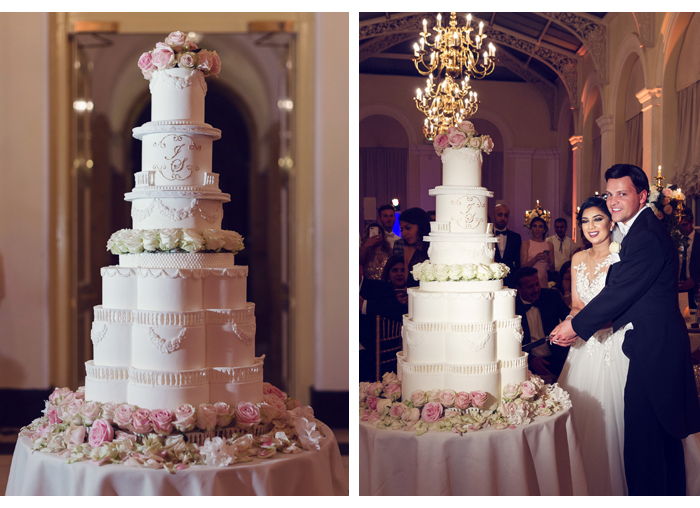 Our six tier cake came from Cremedela Cakes which specialises in luxury cakes. It was very elegant with lots of classic details along with our initials in edible gold. 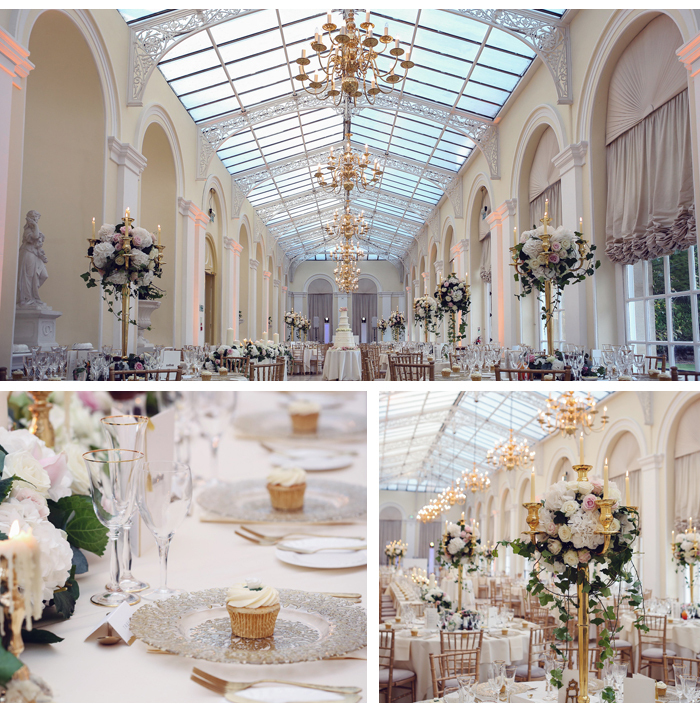 The reception was held at Blenheim Palace, A place I dreamed of marrying as a young girl. 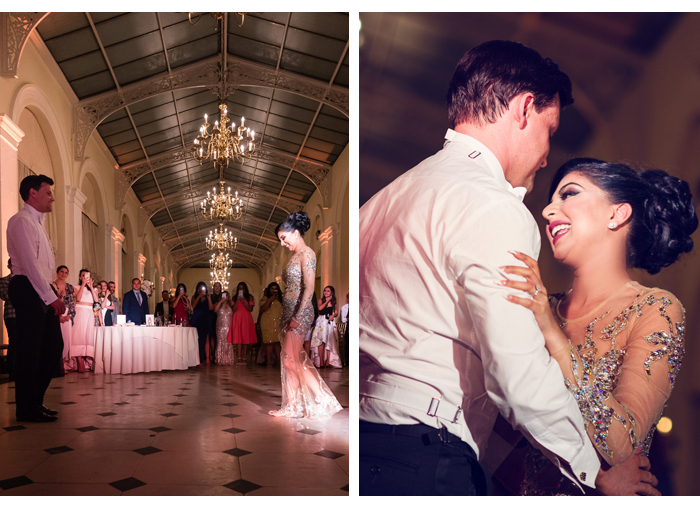 I admire Winston Churchill and his legacy, so to be celebrating the marriage at such a historic and decadent venue was very special for us. The candelabras doubled as table centrepiece. They were surrounded with floral arrangements in blush pink, white rose, pure white hydrangeas and ivy. Our charger plates were detailed with a stunning golden design etched on them, and all cutlery was gold and glasses were gold rimmed. Resting above the charger plates were ivory buttercream cupcakes with white sugared roses. Our stationery and place names were done with gold leaf. Table names were named after the places we had gone to while dating and were also in gold leaf, sitting on golden easels. Blenheim Palace handled our food through Searcys. John and I were both familiar with their cooking, having eaten their restaurants in London. We chose a three course dining option for our wedding breakfast.